For perhaps ten years, I have been involved in low-level cycling advocacy, predominantly in NSW. I’ve written to MPs, responded to surveys, made submissions to plans and proposals and encouraged people to ride. I’ve supported various advocacy groups, and even dabbled in political activism. However, for most of the past ten years I have not felt that Bicycle network (formerly Bicycle Victoria) was an effective bicycle advocacy organisation, and have hesitated to support them. To me, they always seemed to be more intent on furthering the interests of a narrow segment of cyclists – the keen road cyclists – to the exclusion of others. It felt more about preserving cycling as a special club for the initiated, rather than presenting it as a casual everyday activity for everyone. You surely have to see my perspective here. I mean – campaigning for higher fines for cyclists, campaigning against close passing laws and pressing heavy handed legal slapdowns of fellow cycling advocates just aren’t a good look. However, today my opinion has changed somewhat. You have announced that you are undertaking a review of your policy on mandatory helmets. You are encouraging input from a wide range of stakeholders; from different perspectives and different types of cyclists – and non-cyclists too. Of course, from a personal perspective, I hope that your review will lead to a change of policy. But whatever the outcome, I commend you for undertaking this review – which I am sure will generate significant controversy and heat. I truly hope it is the start of a new chapter for BN – a more consultative and open-minded approach to cycling advocacy that is prepared to look at the big picture, and make policy decisions based on a wide evidence base. Because if this really is the start of a new approach to advocacy from BN, then I might be encouraged to join. Whatever the outcome of your helmet review. Mrs Chillikebab has a work for certain things that she likes – usually small, neat, cute things. They are ‘nobby’. ‘Nobby’ is not 100% easy to define. Just being small is not enough, nor is being cute or unusual. However, nobbiness is, when attuned to it, quite easy to spot. 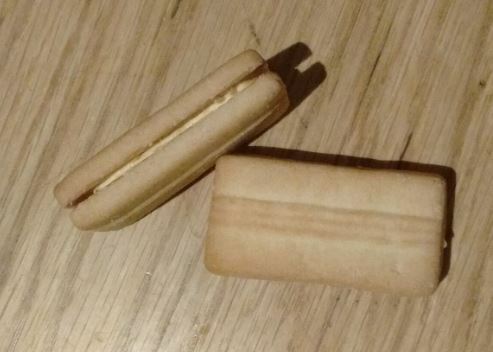 And these biscuits are definitely nobby. 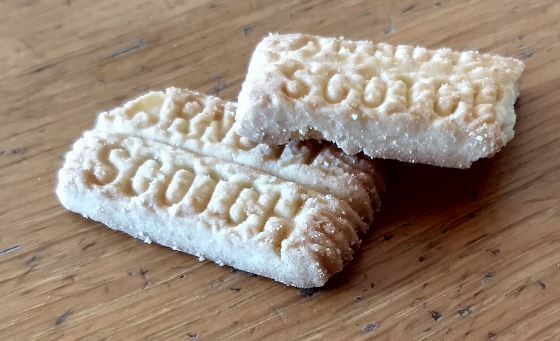 Little tiny versions of Scotch Fingers, no more than a few centimetres long, embossed just like the originals. Nicely done, Arnott’s. Nobby Scotch Fingers. I give them a nine out of ten. I picked up this book at the airport, as a fairly easy read on the plane. Jodi Picoult is of course a very well known and prolific author, although I’d not read any of her books before. As I expected, this is a well-written, easy to read book that rattles along. The theme it tackles, however, is far from lightweight; it is an examination of racism and racial tensions in contemporary USA. Against the backdrop of racially-charged police shootings, the rise of Trump and issues around immigration and American values, this is both a necessary and brave book. Necessary, because these issues need airing constantly, and brave, because Jodi Picoult is a privileged, affluent white person – and writing about race is a challenge to do authentically and fairly when you have no lived experience to draw on. The story revolves around Ruth; a black neo-natal nurse who is on duty when an medical incident occurs to the newborn child of a white supremacist couple. The baby dies, and Ruth is suspended by the hospital, and charged with negligence and murder. She is defended by a public advocate, and over the course of the novel the motivations, lives and prejudices of all the characters are examined. The book ends with a climactic courtroom scene which, whilst gripping, as a rather over-the-top twist right at the end that to me felt very forced. It’s a novel that certainly illuminates the racial divide in today’s America. Picoult did a lot of research prior to writing this book; she details much of this in an essay that appends the novel. Aware of the sensitivity of the subject, she tries to do the right thing, and also apologises for any missteps she may have made. Racism is an issue that affects all America (and perhaps the whole world), and Picoult makes the point that this is a book to get whites reading about and understanding at least some of the issues – even if her voice is not the most authentic or original. It is notable that the black characters in the novel come across as the least nuanced and most two-dimensional. I was interested when finishing the book to read the reactions of black reviewers to the novel. For the most part they are generous and understanding – this is not a ‘black novel’, but as a book that adds to the debate and might break through to some readers who would otherwise not consider the issues raised it has been for the most part praised. I enjoyed this book a lot; it is a rattling good yarn as well as being very thought-provoking. I got pulled over the cops the other day. Rather excitingly, it’s the first time I’ve ever been pulled over with lights and sirens blaring! The reason was that I was riding like cyclists do in 98% of the world – that is to say without a polystyrene hat. In Australia, of course, this deviant behaviour is considered a criminal offence. And not a minor one – the fine is $325. That’s the same as a car driver not giving way to pedestrians on a crossing flashing amber, and drinking alcohol whilst driving. I spoke to the officers, and explained I have an exemption, and showed it to them. It remains to see if they accept it or if I get a ticket through the post. But what a waste of everyone’s time. 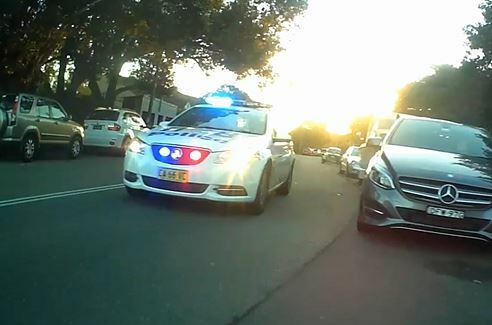 Still, it seems the NSW police are keen to ensure vulnerable road users are suitably penalised for daring to use a Sydney road network that is hostile towards them. A few days later, I was in the city and witnessed no less than five motorcycle cops booking pedestrians who dared to scuttle across a pedestrian crossing when it wasn’t green. Given that this is right outside Sydney Central Station and there are a lot of pedestrians needing to cross, that there is relatively few vehicles, and that the green time for pedestrians is woeful (about five seconds every three minutes), you can hardly blame a few people for crossing on the red man. But no, the NSW police were there, handing out tickets ($72, if you were interested). Whilst I watched, I saw two cars drive through on very amber lights ($325, as explained above), and one on red ($433), but rather than jumping onto their powerful motorcycles to catch the miscreants putting people’s lives in danger, they just chatted amongst themselves. Great to know our safety is so important to them. In recent news, it was reported that the number of fines issued to cyclists rose massively last year – $1.99m in fines, compared to $0.33m the previous year. The number of injuries also fell, by about 7% – but cycling participation fell about 25% (from 17% of people to 12.5% of people regularly riding bicycles). This means, of course, that cycling actually became more dangerous last year. All those fines and police activity have driven people off their bikes, and made it more dangerous for those that remain. And, true to form, I was pulled over yet again this morning. This is on a ride where I saw perhaps 4 drivers using a mobile phone, and close to 10 drivers driving through an amber or red light. So a pretty typical ride. The road safety priorities in NSW (and Australia more generally) are truly f—-d.
Arnott’s have been busy again, with more ‘Twisted Faves’. This time they have taken the Shortbread Cream, and made it mango flavour. I love mangoes. They herald the arrival of summer; sweet, luscious and decadent. I like all varieties, although I’m especially keen on the R2D2 variety (that’s not what it’s called, but I can never remember the real name), and the more recent ‘Kerrygold’. The junior Chillikebabs like them too, and we often share a mango after lunch, popping it our into a hedgehog to endless delight. Mrs Chillikebab doesn’t like mangoes. She says they smell of wee. So how will these biscuits fare? Sweet and luscious, or lavatorial? Sad to say, they don’t hit the mark. Mango is a tricky thing to do in a biscuit, as that fresh zinginess is pretty hard to recreate. It seems Arnott’s have fallen into the all too common trap of making something too sweet and cloying, without any bite or fragrance. You have to search quite hard to get much mango flavour from these; they are just a bit sickly, with a slightly artificial tang. Tellingly, when I put the packet out in the kitchen at work, there were three or four biscuits left at hometime. This is a rare occurrence, so these are not really doing it for anyone it seems. Sorry Arnott’s. It’s a nice idea, and good on your for having a try, but these I’m afraid are only getting a three out of ten.